In this page 10th grade geometry worksheet1 we are going to see some practice questions. You can try the below problems on your own. 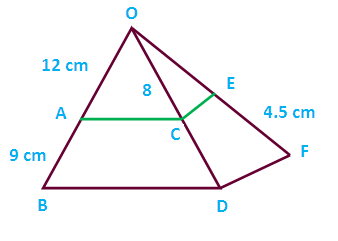 If you find it difficult to do any problems you can just click the solution link to get detailed solution. 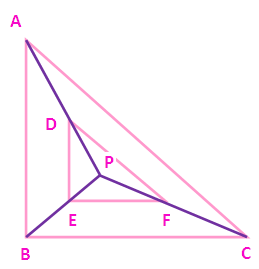 (1) In a triangle ABC,D and E are points on the sides AB and AC respectively such that DE is parallel to BC. 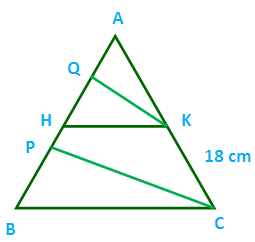 (ii) If AD = 8 cm, AB = 12 cm and AE =12 cm, then find CE. 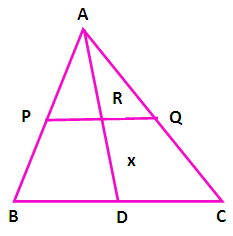 (2) In the figure, AP = 3 cm, AR = 4.5 cm, AQ = 6 cm, AB = 5 cm and AC = 10 cm. Find the length of AD. 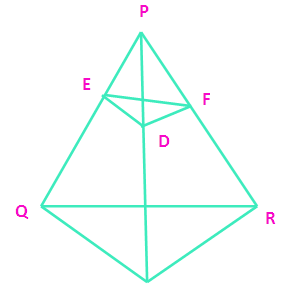 (3) E and F are points on the sides PQ and PR respectively, of a triangle PQR. For each of the following cases. Verify EF is parallel to QR.